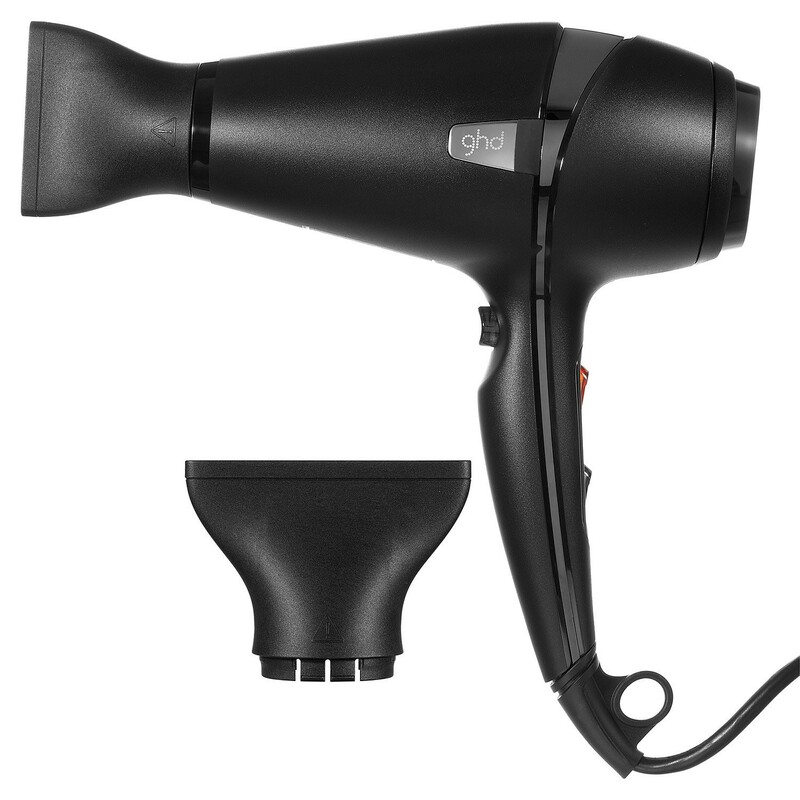 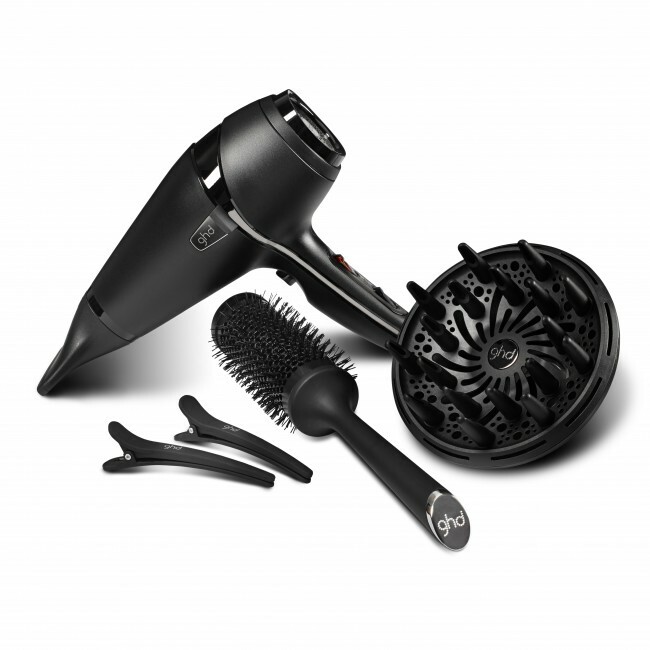 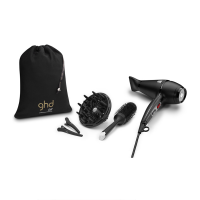 Say goodbye to flat and frizzy hair with our all new ghd air® hair drying kit. Containing; the award winning ghd air® professional hairdryer with a salon strength motor for super-fast drying and ionic technology, giving you a smooth salon-style finish in half the time*; a ghd air® diffuser worth £15, to encourage natural wave and volume; a narrow nozzle for precision styling; two sectioning clips for easier styling; a size 3 ghd vented radial brush worth £17.50, to create lift and body to your blow-dry AND a ghd air® soft protection cover worth £5.95, for better storage bag to keep it all safe. It's everything you need for the ultimate blow-dry.